Meet my new toy – the Jawbone Up activity tracker. 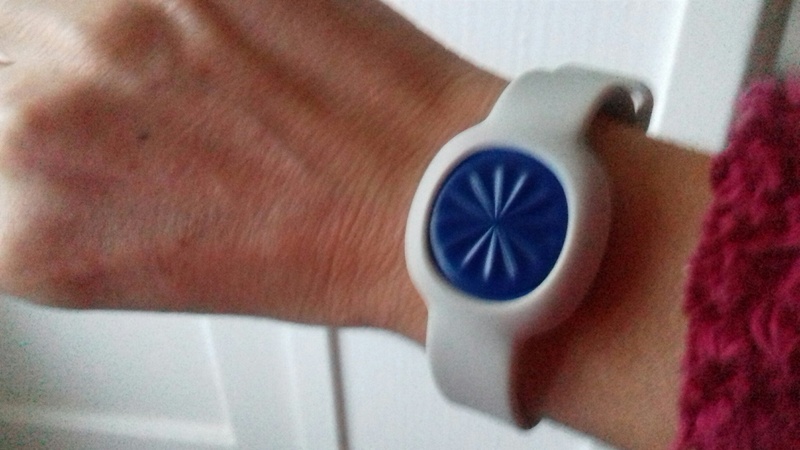 As activity trackers go, this is one of the basic ones. It tracks your movement and your sleep. But that’s still something. The analytics include a log of the longest time you’re active and idle and it tells you your sleep patterns too. So far, I’ve only done a couple of other forms of exercise while wearing it – a Joe Wicks work-out I found on YouTube, which it recorded, and some body weight exercises that don’t seem to register unless you count the steps you move while performing them. You can log your other exercise and the app claims if you do this, the app will learn to recognise things. That might be interesting for a class such as spin, for example. Anyway, it is interesting wearing a tracker and it does compel you to move more. I’m a bit competitive with myself so I’m always aiming to achieve high step figures. My average is about 14,500 steps a day so far. The app my daily step count puts me in the highest percentage of users – and in the top 10 percent for my age. We’ve been lucky in Scotland this winter so far, in that it has been fairly dry. If wet, windy weather comes along, tallying up those steps might not be as easy. Do you use an activity tracker? Has it changed your behaviour and do you find it useful? Get yourself some Goretex outerwear and some Hanro underwear and Go Girl Go! Emma: I seem to keep losing mine. I have a fit bit and the darn thing just keeps falling out fo the band. I have been remiss in not replacing it. Perhaps you will give me inspiration. Rick, what a terrible nuisance. Sometimes, however, I feel that these things encourage you to be too ‘techie’ about your health if you know what I mean. 10,000 steps a day, for example, is one 45 minute walk and then lots of little bits of activity interspersed throughout the rest of the day. You don’t really need a tracker. Have a good Christmas when it comes and thanks for all your comments on our blog this year.